If you have played FFXIV, you must know any class in game can be leveled up to level 50. The advanced skill is that certain skills in FFXIV can be used across multiple classes. For instance, you can cast Protect and Cure even though you are a Lancer. What’s more awesome, ou can get bonus for leveling up other class based on your highest class. This features make life much easier by giving you additional attacks, debuffs and variety. This guide is to specific introduce FFXIV cross class system. Firstly, you need have authorization to change classes, which will be available during your story quests at around level 13. Once you can change class, quests pop up in the three major city-states which will allow you to switch classes and start crafting. You need to complete a short introduction quest to unlock a class, and you will be give a weapon appropriate for that class and sent on your way. Just equip the unique weapon for that class to change classes. Pick your primary class and change it. Then open the action and traits window and select the class that you have unlocked and use a specific skill from. Then you will see a list showing which skills you current class can use. Then you can drag the skills to the bar at the bottom of the window to equip them to your shared bard. This starts a lengthy cooldown and then you can use the ability. A job can only use a very small number of the other class skills, usually one or two class and need to be leveled for them. For example, Bard can only use skills from Lancer and Pugilist. You should know that you can only use skills from those select classes if your aim is to be a specific job. You can check below chat to know what skills can be used in the corresponding place. You should work out a plan on how to level different class. You can take an easy class like Lancer to level to the highest level. To level up fast, in my opinion, you just do the starting class quests and then kill enemies a little higher than your level, then do some nearby FATEs. As you mean to level most of the gear in your inventory rapidly, the start may be a bit difficult. Once you master the skills, you can tanke on Guildfates to level fast! Hope this guide can be helpful for your cross class skills upgrading! 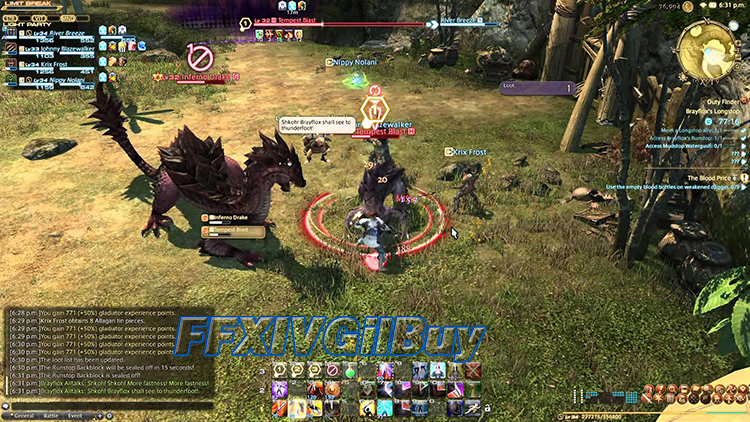 If you want to buy FFXIV Gil cheap, FFXIVGilBuy promises safe transaction and professional service!